Hello everyone! Hope you enjoyed your weekend! This weekend went by super fast! 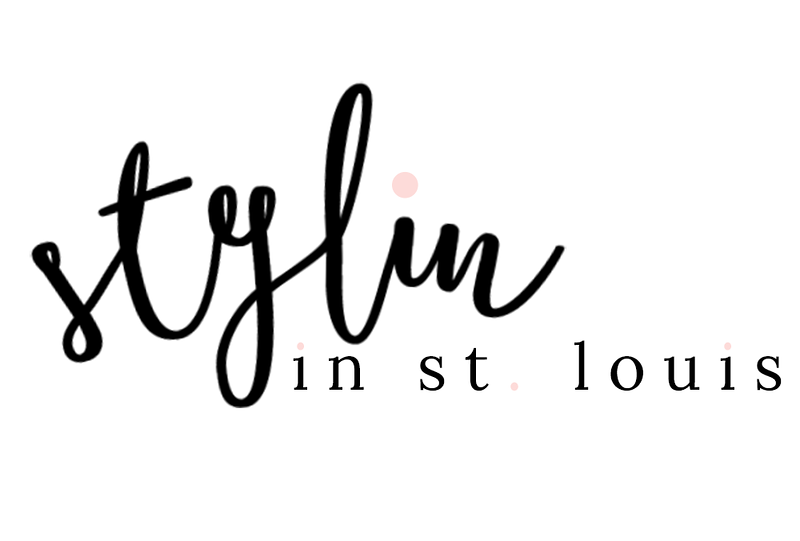 St. Louis fashion week is this week and I spent Thursday and Friday at some pretty amazing shows! Thank you ALIVE magazine for the great seats! Saturday, I headed to the ballpark to watch the Cardinals! Looks like it is going to be a RED October in STL! Hope you had a nice weekend! 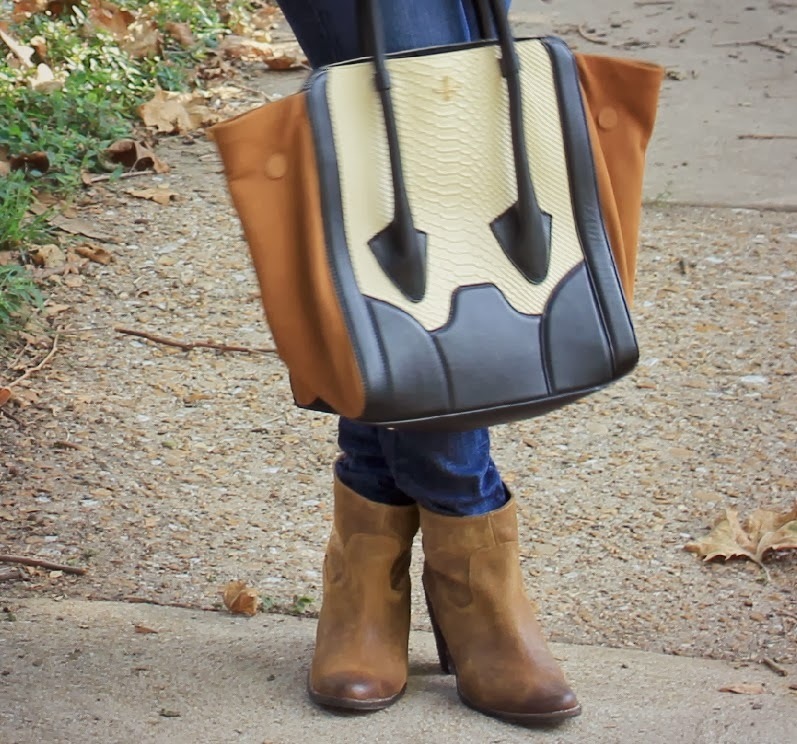 Such a cute fall look...love those ankle boots! That tassel necklace is so gorgeous! 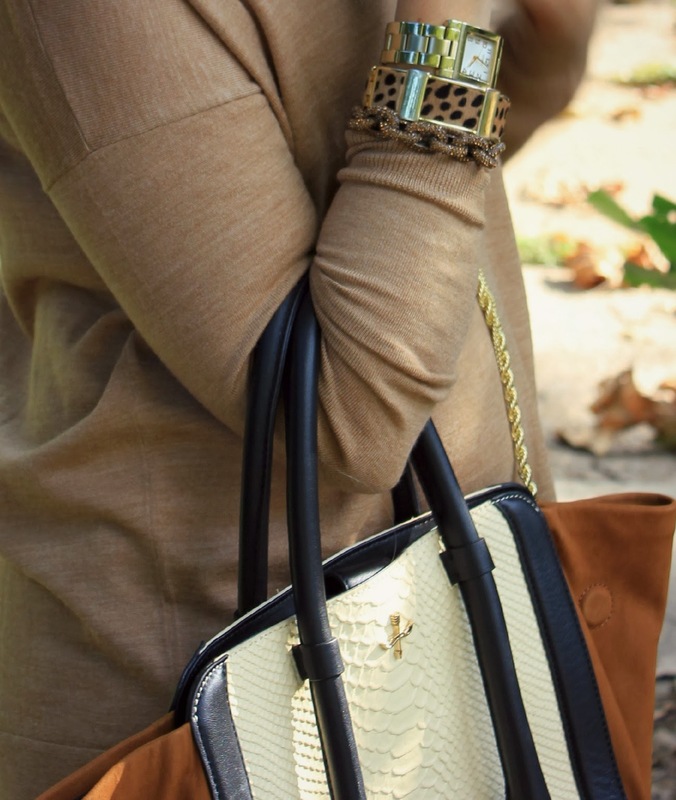 I'm loving the neutrals in this outfit! Thanks Sharon! 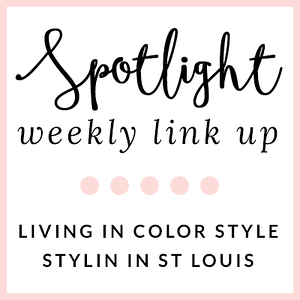 I have been wearing a lot of neutrals lately! Love the colors of that purse! I'm in love with this fall look girl! That bag and those booties are perfect! You look gorgeous! Great casual look. Love it!!!!!! Thanks Agi! Love casual days! Such a perfect fall look - I'm loving that lipstick on you as well, it looks gorgeous! Sounds like you had a busy, fun weekend! Love this fall look. I love love the necklace. My husband is a big Cardinals fan... he is dying to go to STL to see a game! Just went slightly crazy after seeing this top on you, I may or may not have just purchased it in 3 colors! 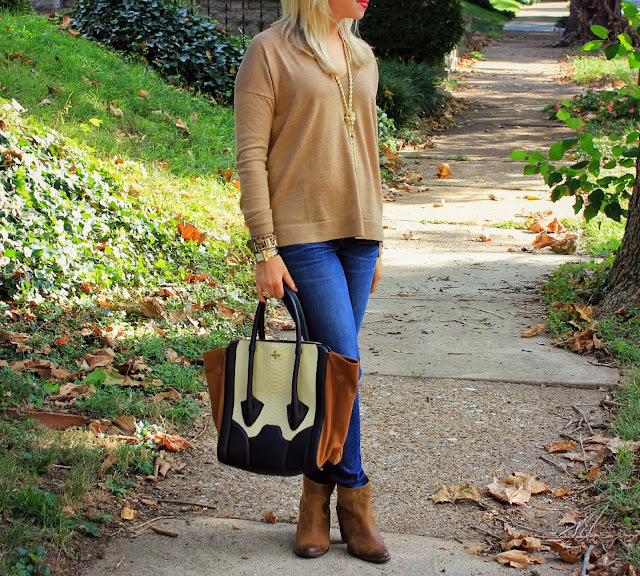 Oh well, such a great fall staple and it looks amazing on you! I would definitely wear this outfit for a casual fall weekend. The top looks so comfortable! LOVE the sweater/necklace combo! Such a simple outfit, but perfect for fall. I can safely say that I love just about everything about this outfit! The sweater looks like it's perfect for fall, and the necklace is stunning....oh, and the bag.... LOVE!! I love camel...and those booties are killer!